Last update (Jun 24, 2009): Nikon P6000 archive of sample RAW images for download at Imaging Insider. This page has links to Nikon Coolpix P6000 sample photos, image galleries and pictures. Nikon P6000 ZIP archive of sample RAW images for download — Courtesy of Imaging Insider. See the bottom of the linked blog post for the relevant file. Full-sized test images are included on this Japanese language web page (read Google’s English translation) testing the camera’s lens at various focal lengths. There’s also an ISO test series (the toy bunny images) from ISO64 to ISO2000 — click on the thumbnails to access the full-sized version. Here’s a direct link to an ISO1600 sample. Official pictures at Nikon Imaging. There are two sets — resized, and the original, full-sized shots. I must say that i really like the two product shots — colors and tonality are just great in photo 1, while the bokeh in image 2 is just exellent. The full-sized portraits have to be seen to be believed. Where texture, detail and tonality are concerned, they’re pretty much near DSLR standards. I share my thoughts on the photos here. Official images at Nikon USA. 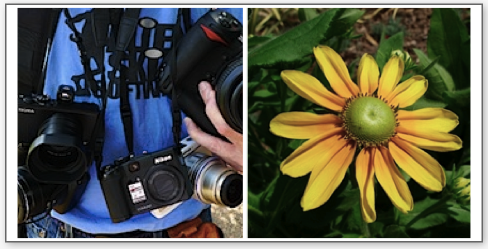 There are three images on the P6000 site at NikonUSA.com. Here are the direct links to: Swimmer, Landscape and Leaf Macro / Close-up. This is a Japanese site, but there are two portraits and a still life photo for you to click through. The photos are at 800 x 600px. Read more on the Nikon P6000.